Get a low-cost means to introduce a gas without thermal pre-cracking using Veeco's low-temperature gas source for molecular beam epitaxy (MBE) systems. 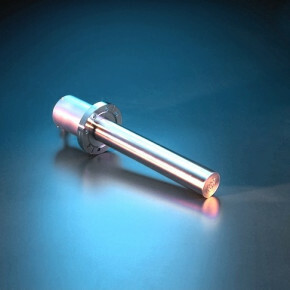 The source features a large conductance tube for fast gas switching and a diffuser end plate for good growth uniformity. It is an ideal gas injector for CBr4 for carbon doping in GaAs and NH3 for GaN growth, as well as any other gases that do not require thermal pre-cracking. Enhance system capabilities further by combining the source on one mounting flange with an Atomic Hydrogen Source or 5cc Dopant Source.